Kris Ruby Fox and Friends How Does a Cat Video Take the World by Storm? Social Media Expert Kris Ruby speaks with Fox and Friends about the popularity of optical illusions on social media. The latest “cat on stairs” photo leaves us asking: is the cat going up or down the stairs? Also, is social media making us dumber? Watch Kris discuss what’s so interesting about these images on social media. Tech trends Expert Kris Ruby on Cavuto “What The Tech? !” discussing the new Apple watch. Are you going to buy one? 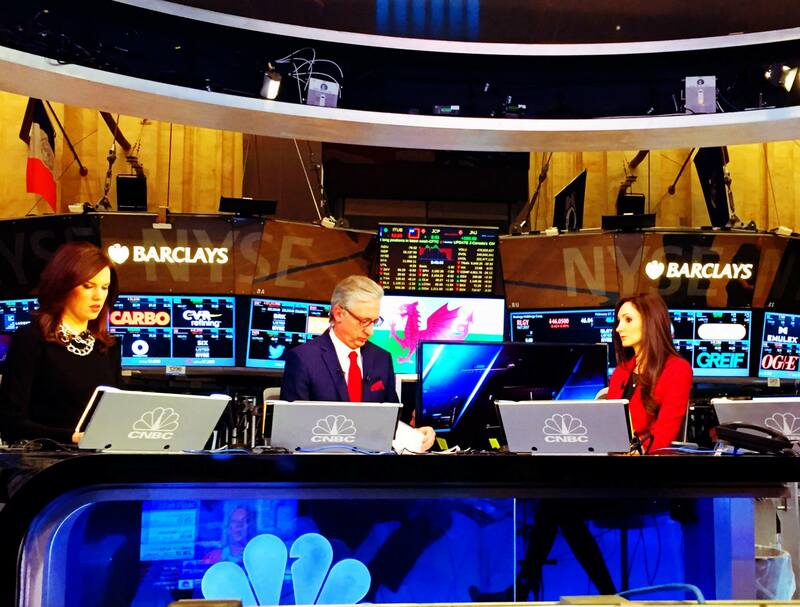 Ruby Media Group President, Kristen Ruby, was so happy to lend her tech expertise to Neil Cavuto’s hit new segment, “What The Tech? !” Watch Kristen discuss Samsung’s $30K doghouse, Google’s over-the-top headquarters and Aston Martin debuting its first electric concept car below! For on-the-go entrepreneurs, finding love isn’t easy. When every waking hour is spent growing a business and chasing your dream, how the heck are you supposed to squeeze in time for anyone else? Even the most successful people in business discover that dating and romance can be a tricky task. 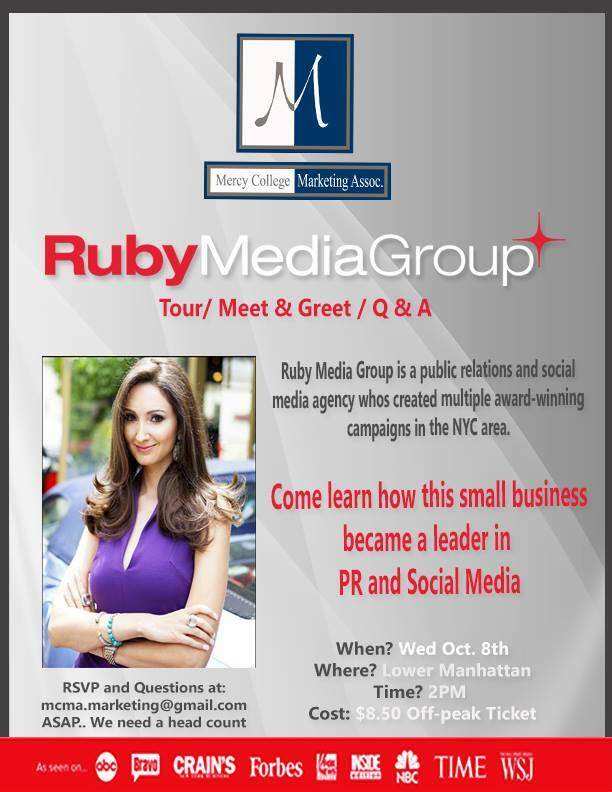 Just ask 28-year-old Kris Ruby, founder of New York City-based public relations firm Ruby Media Group. She and longtime friend Alex Goldman — an entrepreneur himself, having started Five Senses Catering in New York City — starred on Bravo’s Friends to Lovers TV show. The idea, unless the title gave it away, was to find out if friends could indeed develop a successful romantic relationship. Over the course of about a year, Bravo’s TV crew followed Ruby and Goldman around Manhattan and Ruby’s hometown in Westchester County, N.Y., chronicling their path to love. Unfortunately, they weren’t destined to be more than just friends. Goldman eventually got back together with an ex-girlfriend, and Ruby is back to work and also working on herself — personally and as an entrepreneur. Whether it’s a love interest or business client, people invest time and money with you and deserve your attention. You can’t fake it or put people off. Just because you may be successful in one area of your life — such as your business — it doesn’t mean success in your personal life will come easy. “People automatically assume that if you are a woman in business who has reached a certain level of success, you have everything together,” Ruby says. “As leaders, we need to come out and admit that we don’t always have it together. While at Westchester Magazine’s Burger and Beer Blast (Ruby Media Group was hired to increase social media buzz and engagement at the event), Ruby discovers some “digital compatibility” issues (yes, apparently, that is a thing) with Goldman. Budget season is here! Are you actively putting together your media budget for 2015? Have you properly allocated resources for a cross channel strategy that aligns with your overall business objectives? Do you have an efficient plan in place to measure the ROI of your monthly media spend? If you are frustrated with seeing your competitors everywhere you look, and need more guidance on tweaking your media budget to obtain the greatest exposure, attend this powerful interactive Digital Media workshop where PR expert Kris Ruby will teach you the top 10 ways to create a proactive digital communications strategy for 2015. During the workshop, Social Media Expert and CEO of Ruby Media Group, Kris Ruby, will discuss the ins and outs of PR and social media in today’s new media landscape, and how you can enhance your allocated resources to achieve maximum PR exposure. During this interactive Q & A, Attendees will also have the opportunity ask questions about how to incorporate digital media into their 2015 plans. Be sure to get there early for coffee, tea and bagels. RSVP for this event on Facebook or call (914) 908-6770. Ruby Media Group is a full service Public Relations and Social Media Agency serving Manhattan, Westchester County & Fairfield County. Ruby Media Group specializes in corporate PR for regional and national brands. For more information, please visit www.rubymediagroup.com. Kris Ruby, CEO of Westchester-based Public Relations agency, Ruby Media Group, hosted a roundtable of the top 15 students from the Mercy College Marketing Association (MCMA) on October 8, 2014. MCMA is the leading organization for students of Mercy College who are actively pursuing a career in marketing, public relations, and business. Obama, Modi, and the NYPD – all have capitalized on the value that social media brings to the political world. From national to district races, from candidate elections to legislative votes, social media provides insights into the voice of the people, insights that sway the results of voters and popular opinion.